If you are into iOS gaming then you would have heard about the popular Monument Valley game. The game is so popular that it even got featured in the third season of House of Cards. The game that usually sells at a price of $3.99 on the App Store is currently available for just $0.99. We are not sure whether the huge discount is temporary or permanent, so if you are someone who had Monument Valley on the wishlist, now is the time to hit that ‘Buy’ button. In addition to iOS the game is also selling at a discounted price on other mobile platforms. 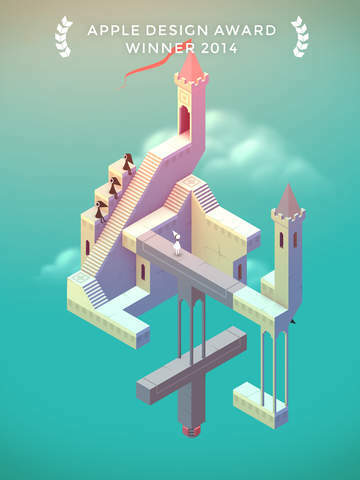 Monument Valley is a game that features a silent princess named Ida, whom you have to guide through different challenges. The gameplay includes user manipulating different buildings and castles to make way for the princess. As a player you have to twist and drag to reshape the world and different monuments. The game’s geometry and the beautiful design is what makes it so popular and addictive, making it a 5 star game on the App Store. You can purchase the Monument Valley game for your iPhone, iPad or iPod touch at a price of $0.99.